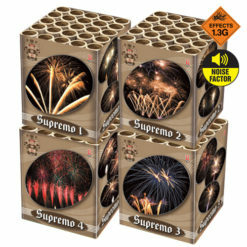 The Supreme Selection/Combo 4 provides a good balance of spectacular aerial and ground effect fireworks. With this popular pack, you get great entertainment and amusement value for all the family. Including a mixture of quiet and noisy barrages and large colourful roman candles. Also included are stunning vibrant fountains and excellent effect rockets. A great little 19 shot low noise barrage. Firing a flurry of glistening gold pearls with beautiful dark golden bronze crackling tails in the air to around 50 feet. Snap, Crackle but no pop, from this low noise Crackling Parade Candle. With wonderful thick golden glitter comet tails rising to thick crackling glitter. Offering 175 shots over a 40 seconds duration. Reaching over 70 feet in the air. The Magna barrage is a small but mighty 12 shot cake that is an excellent addition to your display. It bursts into life with alternating shots of silver peonies followed by crackling emerald dragon eggs. 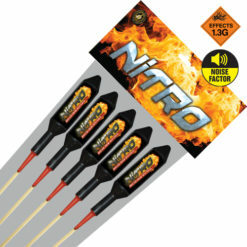 Another category 2 garden firework that punches above its weight, and requiring an 8 metres minimum safety distance. Short but punchy duration of 20 seconds. Believe your eyes as our Fireflies Fountain lights up the world (well your display). This colourful fountain provides a stunning combination of seven phases. With eye-popping and vibrant dancing firefly effects. Mixing up silver crackle flower to red and green firefly pearls to silver sparks. 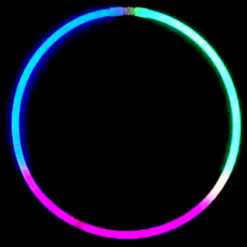 It certainly gives you a great duration of nearly 50 seconds and a low noise display option. An exciting little rapid firing 72 shot barrage consisting of silvery wild whistling comets reaching over 50 feet in the air. The Deadeye needs no reason for you to be a marksman. Shoot this 16 shot cake in your back garden. An exciting category 2 garden firework with an excellent mix of effects. While stunning silver tails shoot into the sky. Eruptions of silver blink with blue stars burst in the night. In addition to elegant brocade crown bouquets. Launching skyward over a steady 20-second duration. Splendid low noise candle with 175 shots of rapid firing eye-catching blue comet tails lasting 40 seconds. 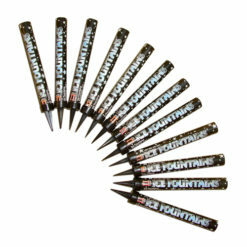 The INXS Rocket 5 Pack is a great value small garden display pack. With an assortment of five different effects including red strobe, green and silver blink. With green crackling, red crackling and blue crackling rockets. This selection comes in a pack of seven, an assortment of great value garden rockets, effects ranging from red stars with crackling, brocade crown, crown flower, purple peony and silver blinking flower. Our Starlight Rocket 10 Pack offers great sparkling effects, great variety and value for any garden display. With a selection of blue peony to crackle, gold peony to crackle and red peony to crackle plus many more effects. 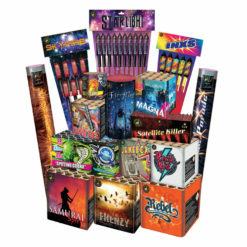 great fireworks, long lasting and varied display, easy to use and quick delivery. Excellent service, delivery went smoothly, fireworks were brilliant and were appreciated by whole village . 5 out of 5 Dynamic by name and Dynamic By Nature ! I have bought fireworks from Dynamic on and off for a number of years and they never fail to impress. 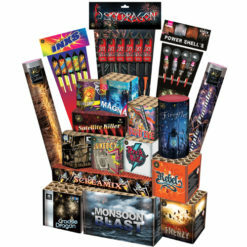 Having used professional firework companies in France and Austria previously, Dynamic are on a par with the best. Quick, polite and efficient delivery and very sensible prices, especially for the various packs. A Great Company !! Had are Fireworks last night and every one was impressed! Can’t fault my experience with Dynamic. The delivery was exactly as promised and the pack contents were fantastic for the price. From online purchase to setting fireworks, amazing customer exexperiencei will definitely use it again! 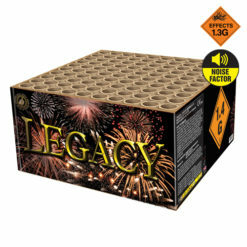 Great service, easy to use website and excellent fireworks. We really appreciated the courtesy call to let us know our delivery was on its way. We are highly impressed! Excellent service, Excellent customer service, will definitely buy again and tell all my friends and family to do the same. Thank you the fireworks were fabulous and great value for money. Really pleased with this set. Went down a treat so much so a lady from next road knocked me next day to ask me about them lol. 5 out of 5 Really happy! great service all around, we had a call to let us know when the delivery would be made and the parcel turned up as promised! Great selection of fireworks which everyone enjoyed!! I’ll definitely be back again. We would recommend a minimum safety distance of 15 metres. Furthermore, please read all the instructions on the fireworks. And also see our free safety guide for more information. 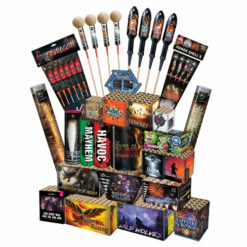 For more great firework deals check out our Discount Display Pack Section.